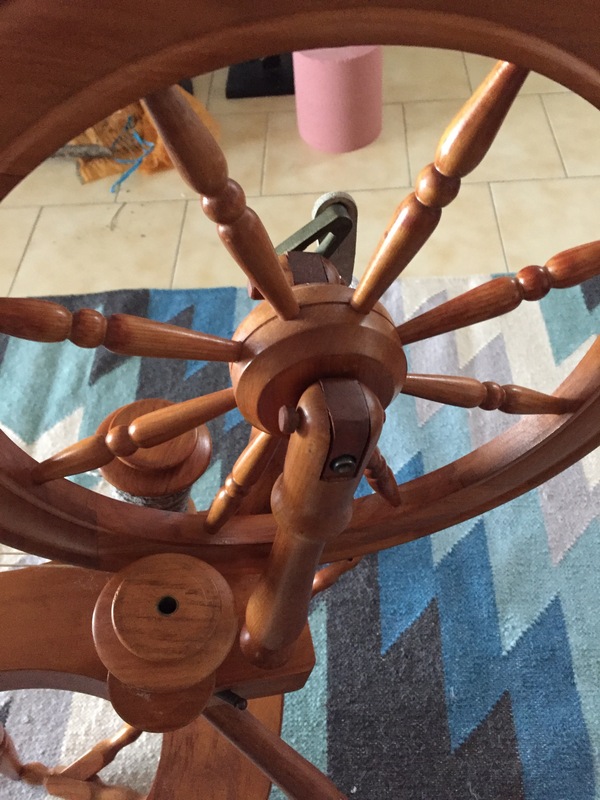 I have two spinning wheels at present: an Ashford Traveller and a Pipy. 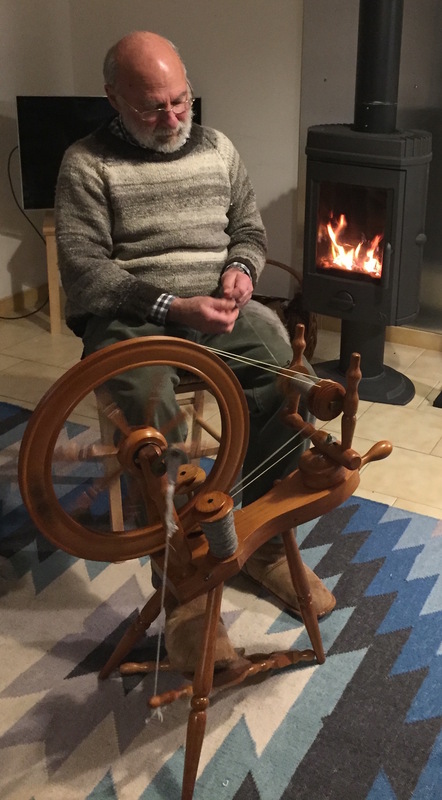 The Pipy was developed by a New Zealander, Philip Poore as a modification of a traditional Irish wheel for spinning flax into linen yarn. Poore's jigs for forming the wheel and the patterns were sold to Ashford. I do not know whether the jig was used to make any of the Ashford line of spinning wheels but I believe that the Ashford wheels, including my Traveller, are descended from the Pipy. Some of the differences between the two wheels are obvious from the photographs to the left and right. The Pipy has a single treadle and double drive whilst the Traveller has a double treadle and Scotch drive. I prefer the double drive because it naturally turns the bobbin more slowly than the flyer to wind the spun yarn onto the bobbin. To change the difference between the two speeds of rotation, the tension on the drive band can be changed allowing more or less slippage. The more slippage is allowed, the less friction there is and, in consequence, treadling is easier. Scotch drive changes the difference in rotation speeds by increasing or reducing friction by means of a brake on the bobbin. In general, scotch drives increase friction in the working of the wheel whilst double drive reduces it. 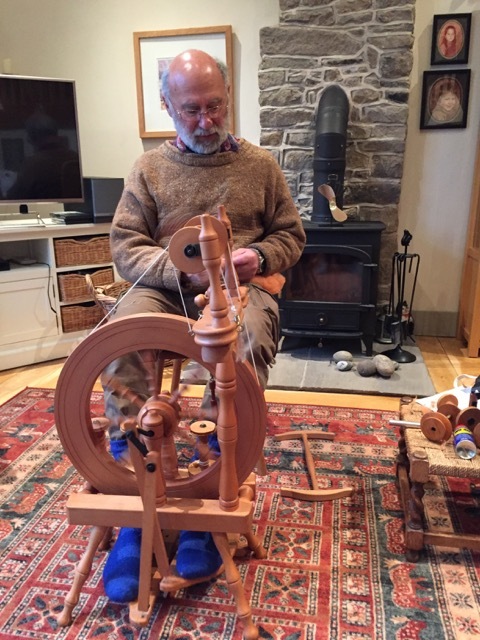 Having two treadles gives more and finer control over the rotation of the flywheel than does a single treadle. The Pipy addresses this difficulty by incorporating weights at one point on the rim of the flywheel. 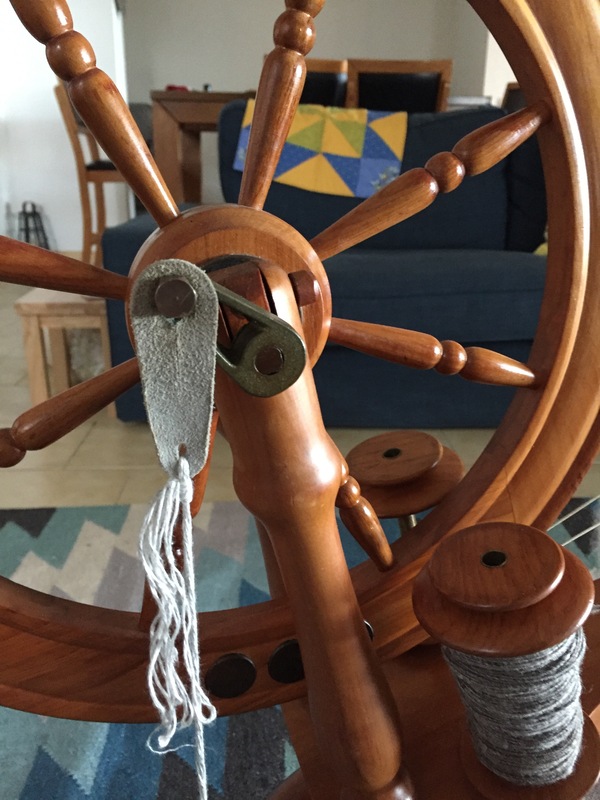 Since these weights will always be at the lowest point when not treadling, the wheel always stops naturally at the same position. 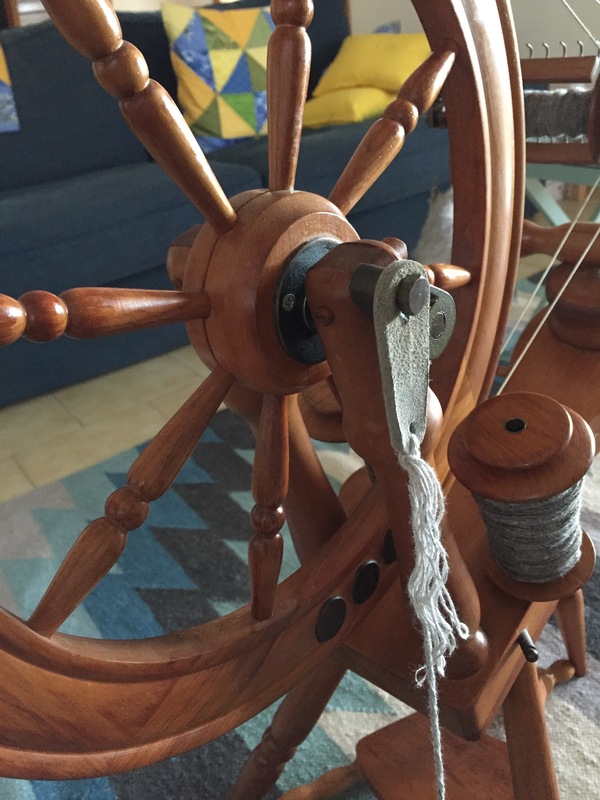 As can be seen in the photographs below, my Pipy is set up so that starting to treadle rotates the wheel clockwise which is the appropriate direction for spinning singles tp be plied into a yarn for knitting UK and USA style. Apparently, knitters in mainland Europe use a different technique best served by spinning singles counterclockwise. The Pipy footman, connecting the treadle to the tang pointing to ten o'clock in the middle photo below, is not a solid rod but instead is a flexible cord. I constructed the cord in this case from linen thread used by Linda as warp in her current weaving project. The advantage of linen is that it does not stretch.